Anything with texture adds dimension. Nubby fabrics and textured wool area rugs make a room cozy. Reds, burgundies, or golds instantly transform a plain room. 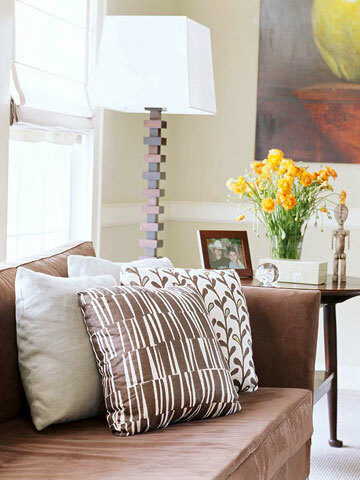 You don’t haveto paint the walls; you can add these tones in the drapes, furniture, pillows, rugs, or art. I always tell clients that you can’t control the outside world but you can create a world on the inside of your home that is good to you. In the fall, when you’ll be spending more time indoors, it’s important to carve out a corner for yourself. Maybe it’s a tabletop in the corner of your living room or in your bedroom. Fill a bulletin board with images of things you love: photos and mementos from trips, ticket stubs from a great show, cherished letters. Small collections of shells, rocks, and candles are simple things that are good for your soul. 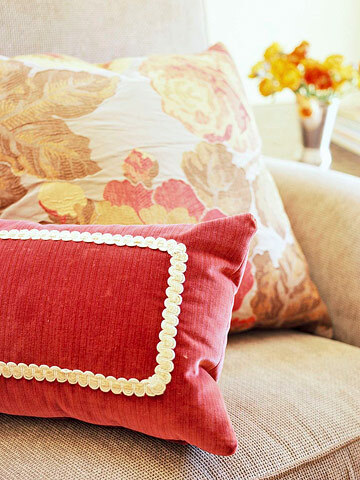 Place a luxurious throw over a chair or a couch. 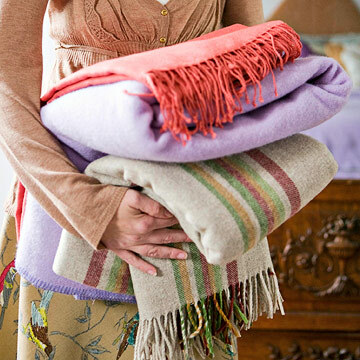 I always include a high-quality throw in all my clients’ family rooms. 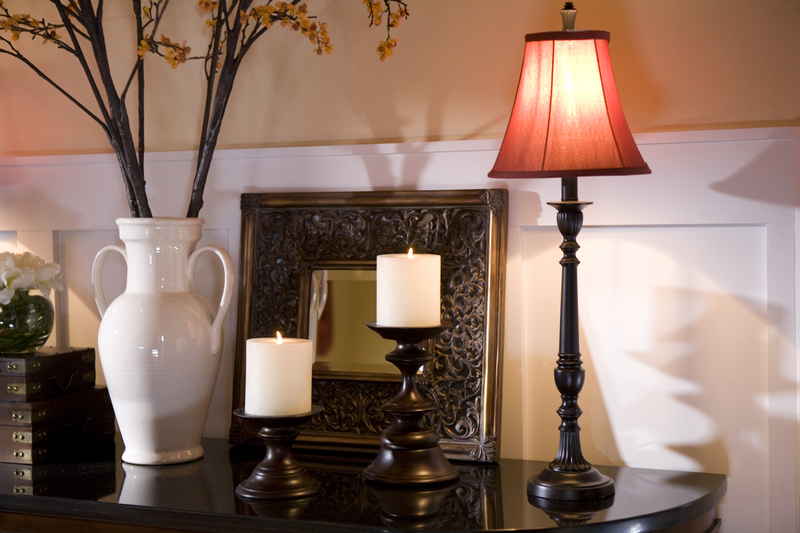 Candles bring mood and character to a space. 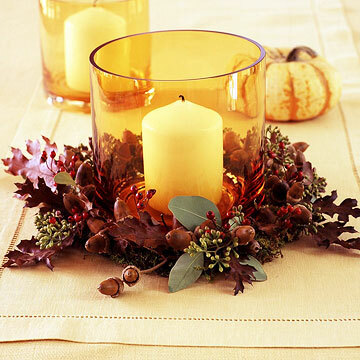 To avoid the risk of fire, try battery-operated flameless candles (look for versions made with real wax); they emit a nice warm glow. It’s all in the accessories. If a room is empty, it’s going to feel cold and unwelcoming. Style every table with personalized vignettes: Choose a few special items, keeping in mind that contrasts in shape and texture work best. 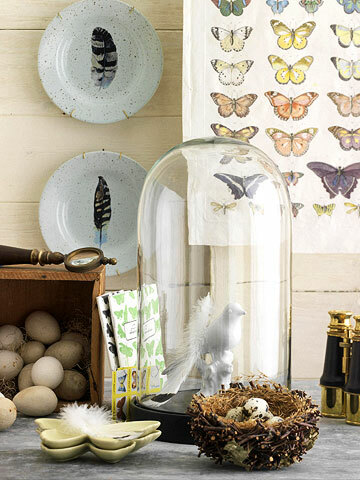 I always look for funky, slightly off-the-wall pieces at antiques stores and flea markets. These have the most personality and are conversation-starters when put on display. Drapes warm up a space. If you currently have wood blinds or mini-blinds, consider changing those for a fabric Roman shade, or even better, add floor-to-ceiling drapes. 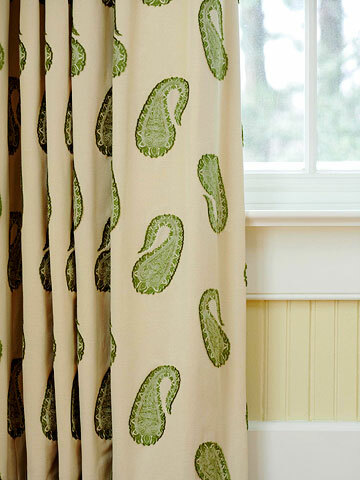 The fabric softens the room and adds glamour. 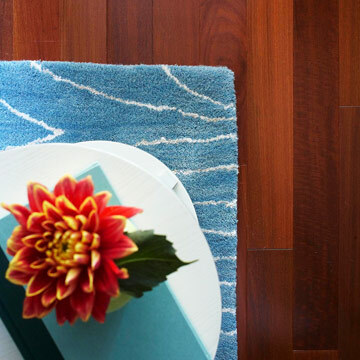 An area rug is an instant color and pattern makeover and grounds a room. I throw them right on top of carpets or summer’s sea-grass rugs. Warmth can also come from personalization. Displaying a collection or hanging family photos in unusual frames — anything that gives a room your personal touch — is meaningful.